Col. John R. Vilas ’53 ’66 and his wife Jean used Apple stock to fund a major gift to the Texas A&M Foundation. By donating the stock through a charitable gift annuity, they will receive guaranteed lifetime payments. Throughout his life, Col. John R. Vilas ’53 ’66 has been guided by one principle: respect. He first embraced the principle in the Corps of Cadets, before earning bachelor’s and master’s degrees in industrial education. Vilas adhered to that principle during a 30-year U.S. Army career and following his 1983 retirement. “Respect for our nation and form of government, respect for the law, respect for family and fellow man, respect for tradition—these are the lessons I learned at A&M and over many years,” said Vilas, who served in Korea and Vietnam, receiving three Legion of Merit awards, a Bronze Star and a Combat Infantryman’s Badge among other decorations for U.S. and foreign service. To support the university “embodying the principles we value,” Vilas and his wife, Jean, recently made a major gift to the Texas A&M Foundation through a charitable gift annuity. “We bought Apple stock in 1995 and 1997. Over the years, the stock split several times and our small investment grew. Apple didn’t pay dividends, so by donating the stock through a charitable gift annuity, we receive a guaranteed income for our lifetimes and rather significant tax benefits,” explained Vilas, who manages the couple’s ranch in Millican, Texas, and enjoys researching the area’s history. The gift is designated for the Corps’ Quadrangle Renovation Project, the Memorial Student Center (MSC) Renovation and Expansion Project and general needs. 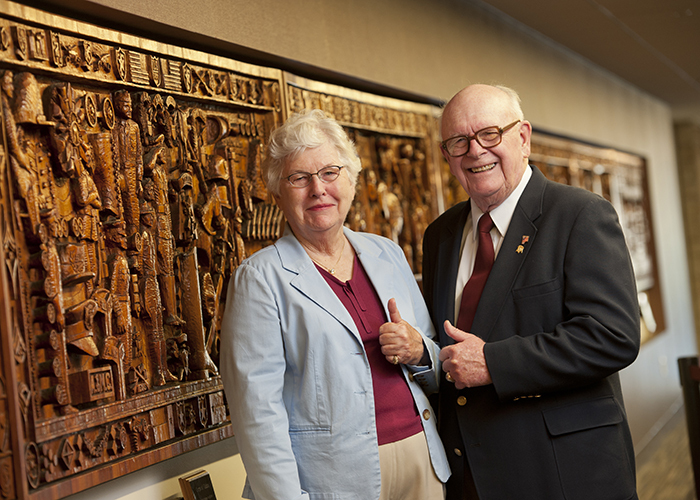 In recognition of the couple’s generosity, A&M will name the lobby of the H. Grady Ash Jr. ’58 Leadership Learning Center (the second of two identical, four-story learning centers connecting Corps dorms) the Jean and John Vilas ’53 Lobby. Two pillars in the $125 million MSC renovation, a three-year project completed in 2012, were named for Mrs. Vilas’ father, T. T. Walton, M.D., ’27, and her grandfather, President T. O. Walton, A&M’s longest serving president (1925-1943) who oversaw extensive oil boom growth. Jean Vilas, who graduated from The University of Texas before A&M admitted women, said she and her husband have “always sent something to A&M, but this is our first gift of this size.” The couple previously established five Sul Ross Scholarships. They have one son, John W. Vilas ’79, who owns Vilas Motor Works in Bryan, and five granddaughters who they hope will carry on the Aggie tradition. To learn more about creating a charitable gift annuity that will give you fixed payments for the remainder of your lifetime, request our information kit today. 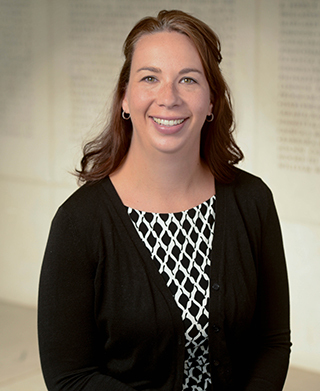 The Office of Gift Planning at the Texas A&M Foundation can also help you with other types of planned gifts. Let us help you find the one that best suits your needs.